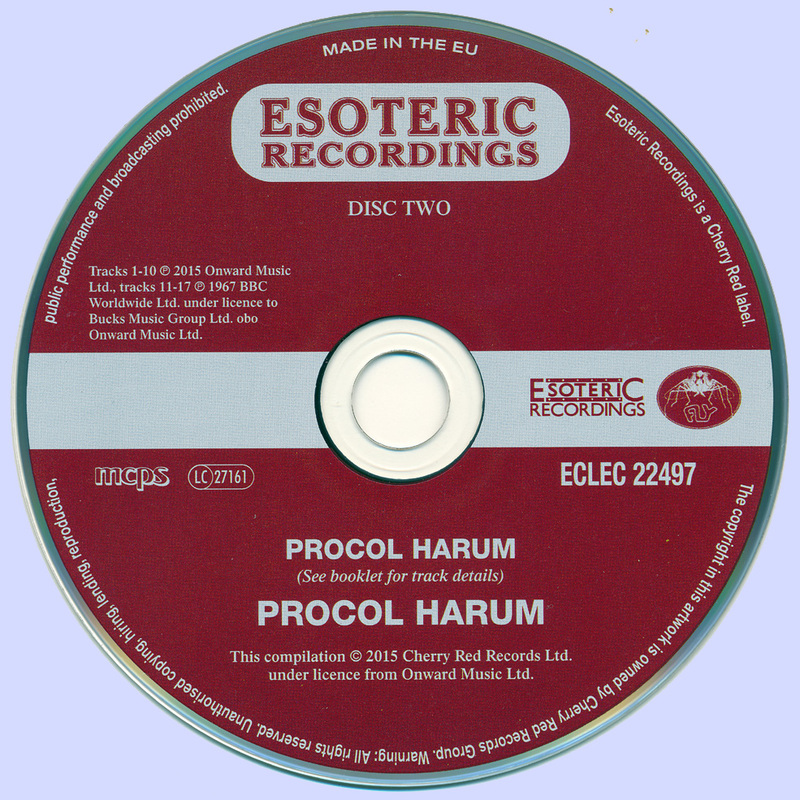 The self-titled Procol Harum marked the album debut of the band then consisting of Gary Brooker (vocals/piano), Robin Trower (guitar), Matthew Fisher (organ), David Knights (bass) and B.J. Wilson (drums). 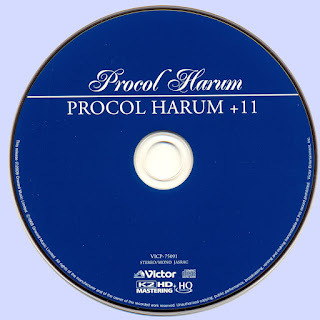 (Brooker, Trower and Wilson had all previously played in The Paramounts, the group that scored a minor U.K. hit in 1964 with Leiber and Stoller’s “Poison Ivy.”) With all but the closing track, Fisher’s “Repent Walpurgis,” penned by the team of composer Brooker and lyricist Keith Reid, Procol Harum heralded bold new voices in the British rock scene with its progressive blend of psychedelia, classical and blues idioms. The LP, produced by Denny Cordell and released on Regal Zonophone, had been preceded by two single releases. 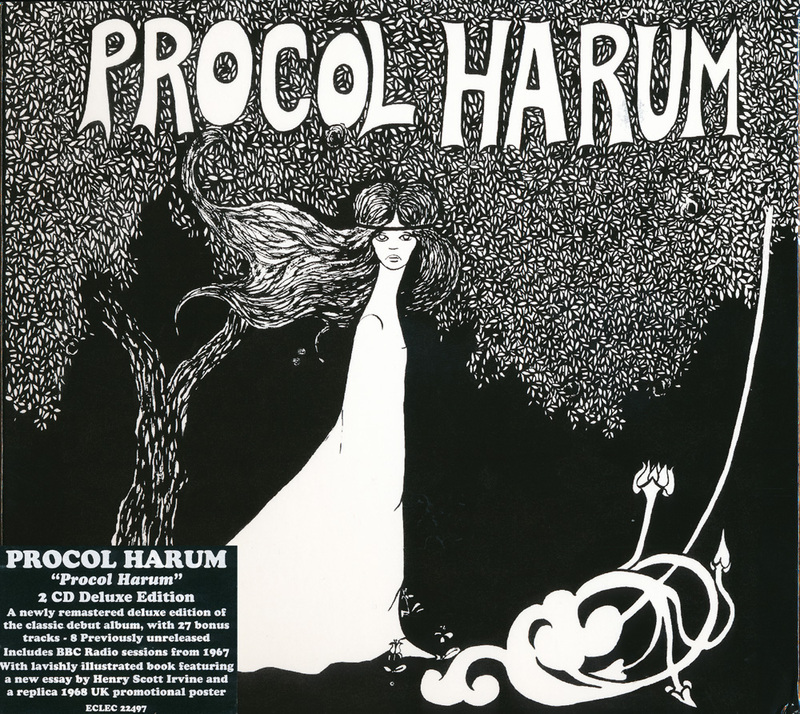 May 1967’s “A Whiter Shade of Pale” reached No. 1 in the U.K. in June and stayed in that position for six weeks. (Guitarist Ray Royer, whose tenure in the group was short-lived, played on “Whiter Shade.”) “Homburg” then followed in October, making No. 6 on the pop chart. Surprisingly by today’s standards, neither song was included on Procol Harum in the U.K., but “Whiter Shade” was added to the LP for its U.S. release. It replaced “Good Captain Clack” in a reshuffled sequence. “Whiter Shade” would make No. 5 in the U.S., with “Homburg” performing less impressively at No. 34. 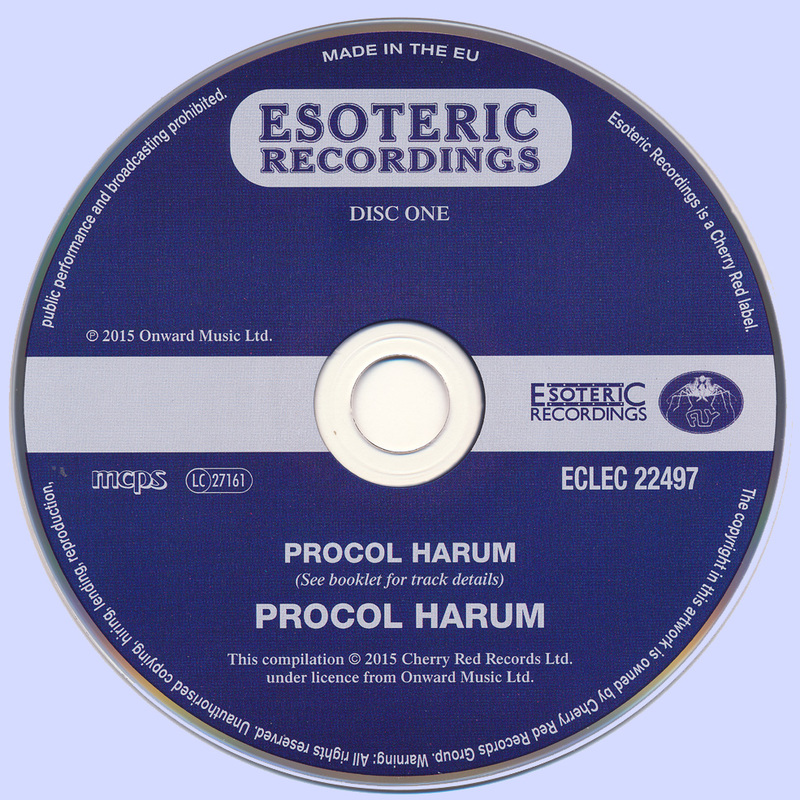 Esoteric has Procol Harum, remastered from the original mono tapes (no stereo version exists), available in both 1-CD and 2-CD iterations. The single disc has the original 10-track U.K. album plus four bonus tracks – the singles “A Whiter Shade of Pale” b/w “Lime Street Blues,” and “Homburg” b/w “Good Captain Clack.” This edition is seven tracks short of Salvo’s 2009 version of this LP. 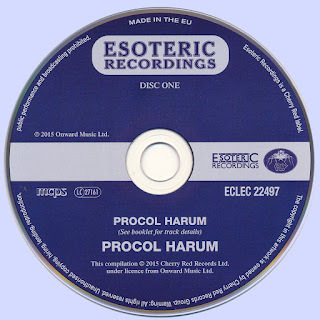 However, Esoteric also has the album in a 2-CD deluxe edition with 15 bonus tracks – seven of which are previously unreleased and two of which are making their CD debuts. The seven previously unreleased cuts encompass the band’s 1967 BBC performances for Top Gear and Easybeat. 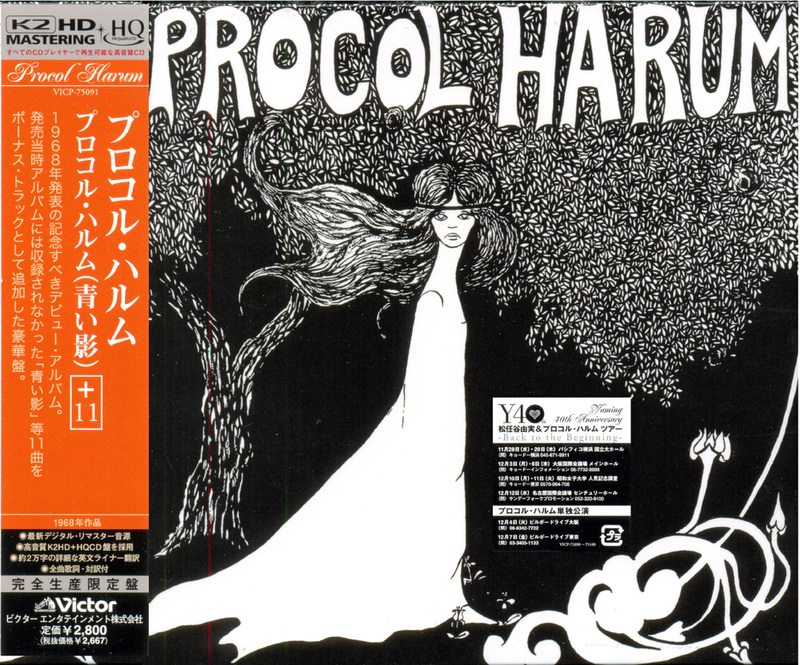 The other bonuses include B-sides, alternate takes and stereo mixes. 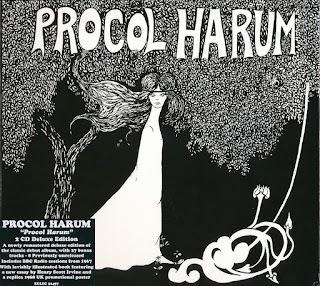 Henry Scott-Irvine provides the new liner notes, and the 2-CD set also includes a facsimile promotional shop poster made for the release of the album in January 1968. Why does 7zip give me such a difficult time in joining files, some just disappear after 7zip open option? some times no problem at all but as in this one opening file 2 gave me a 0MB file, what am I doing wrong??? Is win zip better??? 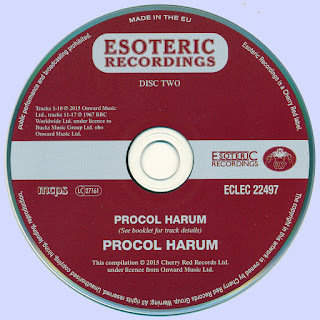 Esoteric,like Now Sounds are part of the Cherry Red UK group. Don;t be shocked if they ask you to remove the link. I don't understand; why are these coming out as 'CD1' and 'CD 2', as opposed to individual tracks; like the Traffic CD's?